Certification for Manufacture of Actuators, Casing & Tubing Heads, Chokes, Valves at PSL 1, PSL 2, PSL 3 for API 6A. Certification for Manufacturer of Ball and Check Valves for API 6D. 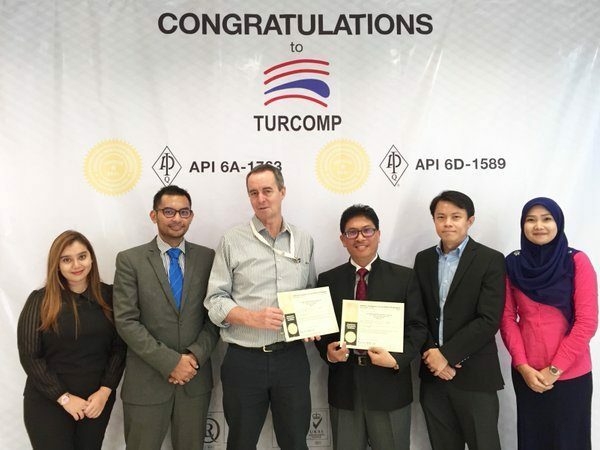 Turcomp is pleased to inform that we have been accredited by API with 6A and 6D monogram enabling the company to manufacture Actuators, Casing & Tubing Heads, Chokes, Valves at PSL 1, PSL 2, PSL 3, Ball and Check Valves with the API monogram. This newly awarded certification not only takes us one step closer to our goal but also push us forward to become a manufacturer valve and solution provider. This also allows Turcomp to be more competitive for engineering products for the oil and gas, refining and petrochemical industry. Turcomp valve are designed by our engineers to API 6A / API 6D and built to the exact standards required in the most stringent industry applications.